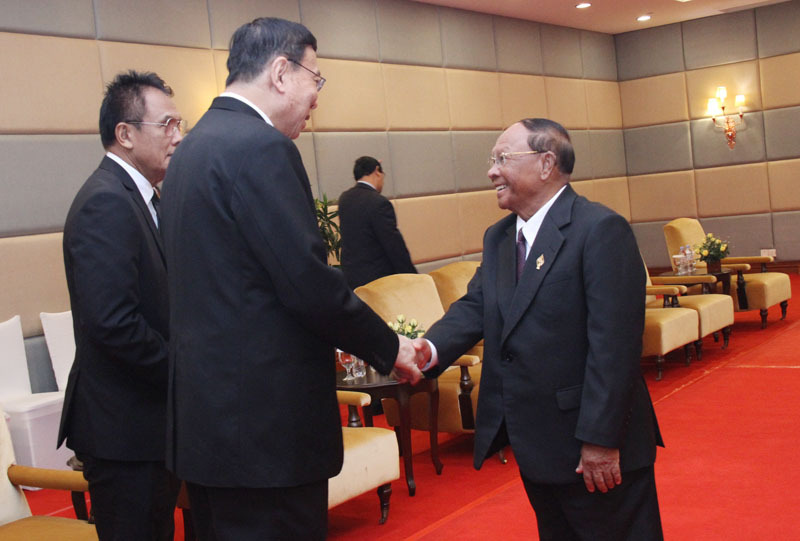 Samdech Akka Moha Heng Samrin, President of the Kingdom of Cambodia, and H.E. 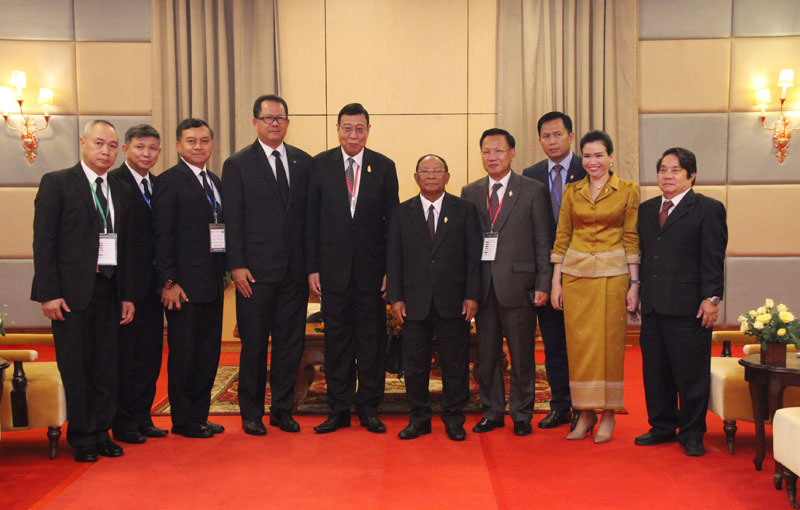 Professor Pronpectch Wichidcholchai, President of the National Assembly of the Kingdom of Thailand met on the morning of October 2, 2017 at the Sokha Phnom Penh Hotel and Residence after having attended the First Executive Council Meeting of the 10th APA Plenary Session. At the meeting, H.E. Professor Pronpectch Wichidcholchai raised the same mission of the Cambodian and Thai Parliament, which has actively participated in various inter-parliamentary forums such as the Asian Parliamentary Assembly (APA), ASEAN Inter-Parliamentary Assembly (AIPA), Asia-Pacific Parliamentary Forum (APPF), Inter-Parliamentary Union (IPU). 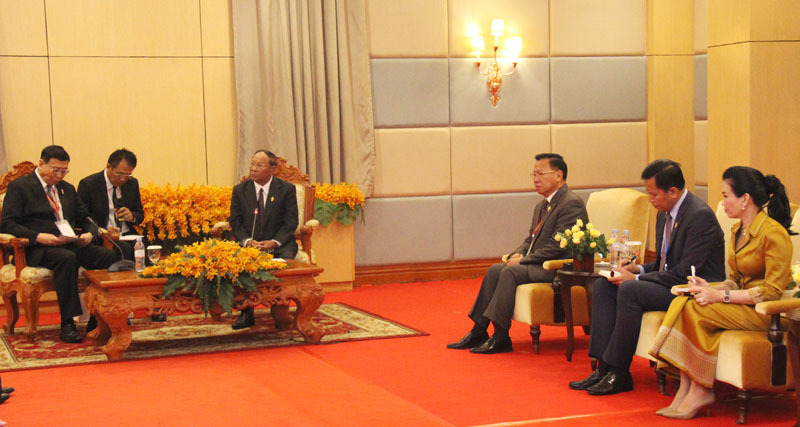 In order to further strengthen bilateral friendship and cooperation between the Parliament of Cambodia and the Thailand, H.E. 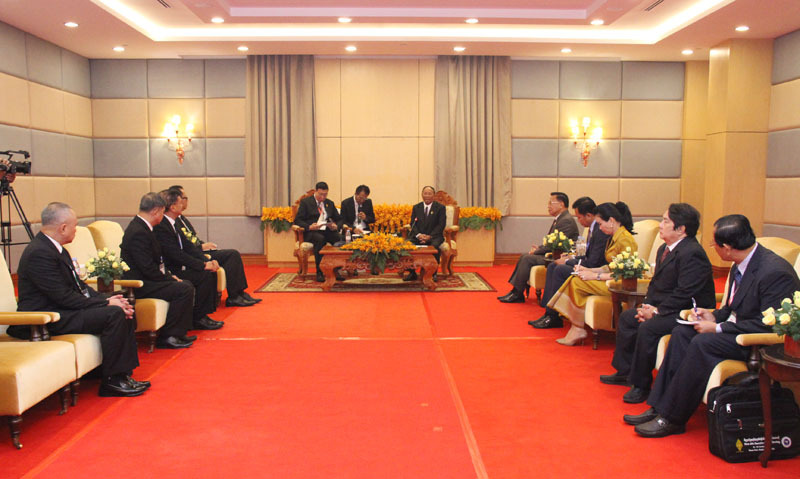 Prof. Pronpectch Wichidcholchai hailed the invitation of Samdech Akka Moha Ponhea Chakrei HENG SAMRIN to lead delegations of the Cambodian Parliament to pay an official visit to Thailand soon. At the same time, H.E. 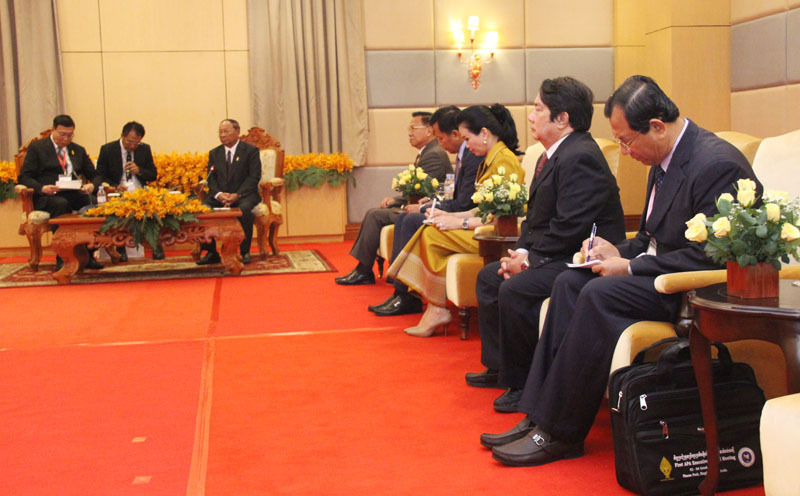 President of Thai National Assembly mentioned the progress of friendship and cooperation between the two countries in recent years, such as railway and seaway connections between the two countries, which are a vital part of fostering Cambodia's and Thailand's trade growth. Samdech Akka Moha Ponhea Chakrei HENG SAMRIN accepted the invitation of the President of Thai National Assembly, promising to find the right time to lead delegations of the Cambodian Parliament to Thailand. Samdech also thanked to H.E. 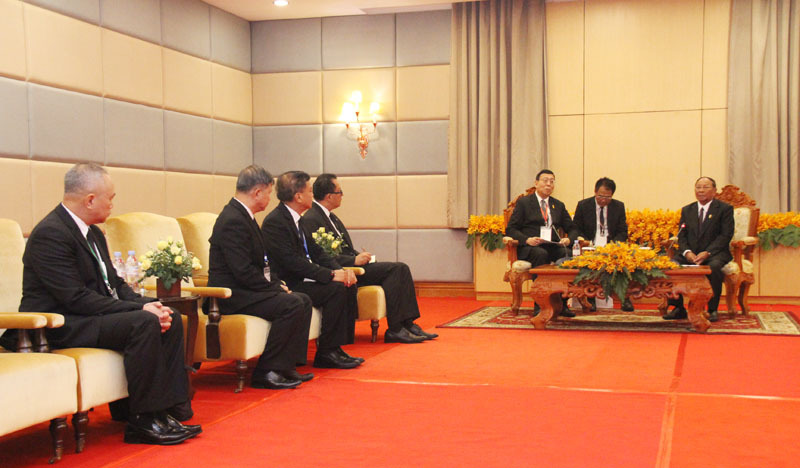 President of Thai National Assembly for leading parliamentarian delegations to attend the First Executive Council Meeting now in the Kingdom of Cambodia. 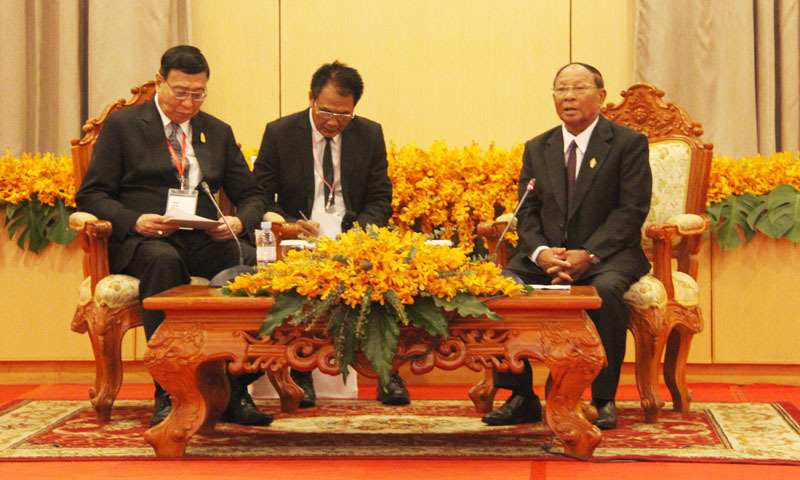 Samdech President of the Cambodian National Assembly has emphasized that the Parliaments of the both countries had signed a memorandum of understanding (MoU) on strengthening cooperation between the two parliaments in bilateral, regional and international frameworks.